Fredrick Law Olmstead, the designer of Central Park, laid out the village of Pinehurst. It is a unique place. I heard it described as “similar to Disneyland,” which is nearly spot on. The village is built with perfect storefronts, employees running off scripts, and shuttles moving guests from hotels to the spa and golf courses like clockwork. 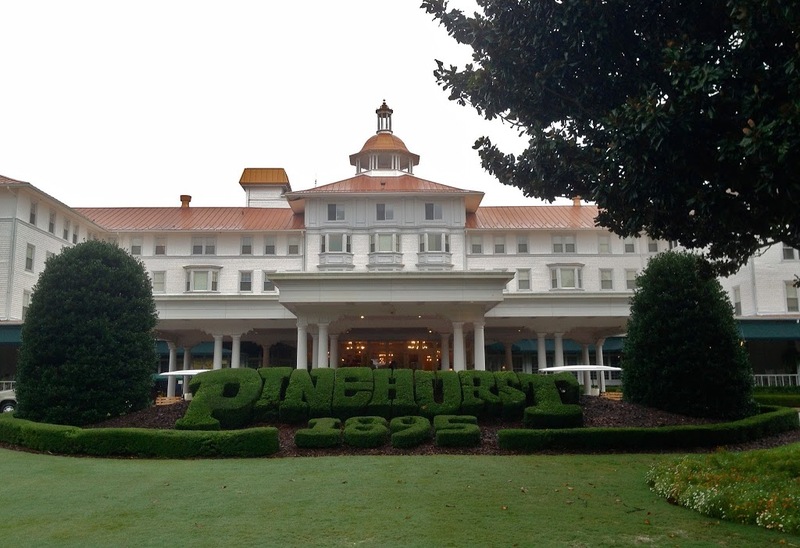 The only way to book tee times at Pinehurst over 24 hours in advance is to buy a package and stay at one of the resort’s four accommodation options. 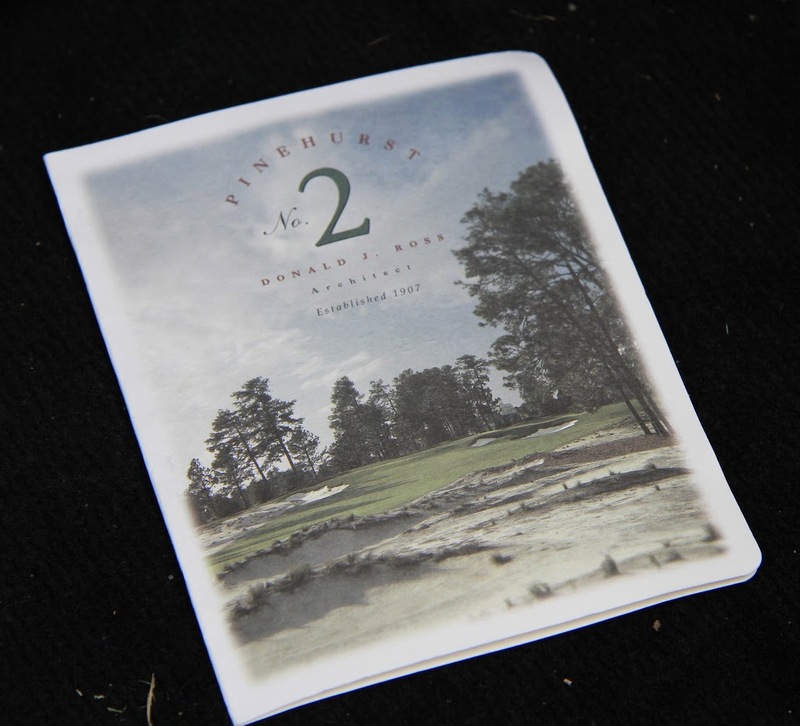 I have been fortunate enough to visit Pinehurst and play Pinehurst No. 2 quite a few times while growing up in North Carolina. I was especially eager to play No. 2 on this first trip with my Dad since the 2011 restoration project by Coore & Crenshaw. 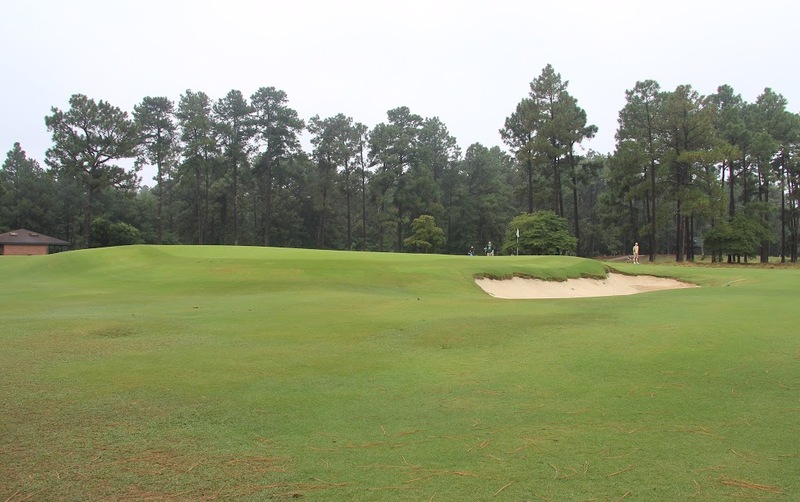 The project has taken the course back to its original Donald Ross design. The project also reestablished the course’s unique connection to the St Andrews Old Course. Both designs use very large fairways and greens that shed balls into collection areas and hollows. There is no longer any rough on the course. “Natural areas” (waste bunkers full of tough grasses) now border the large fairways. 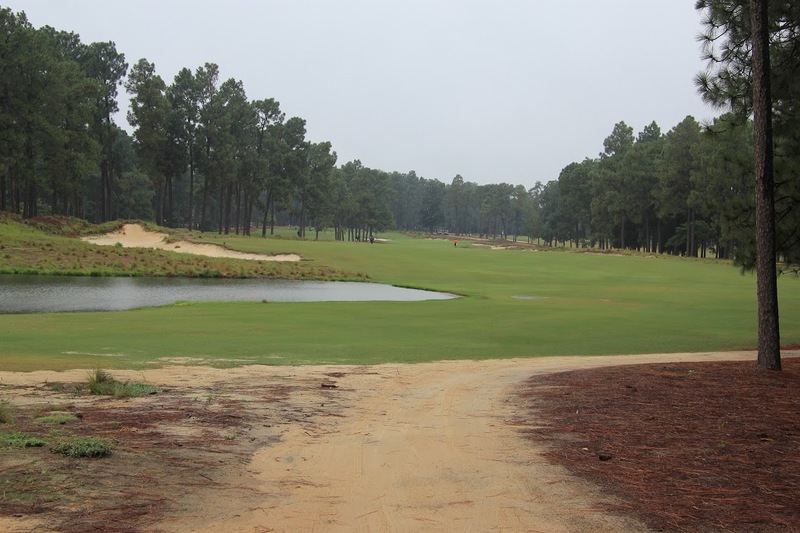 The removal of the rough cut out 650 irrigation heads and exposed the sandy soil upon which the course was built. 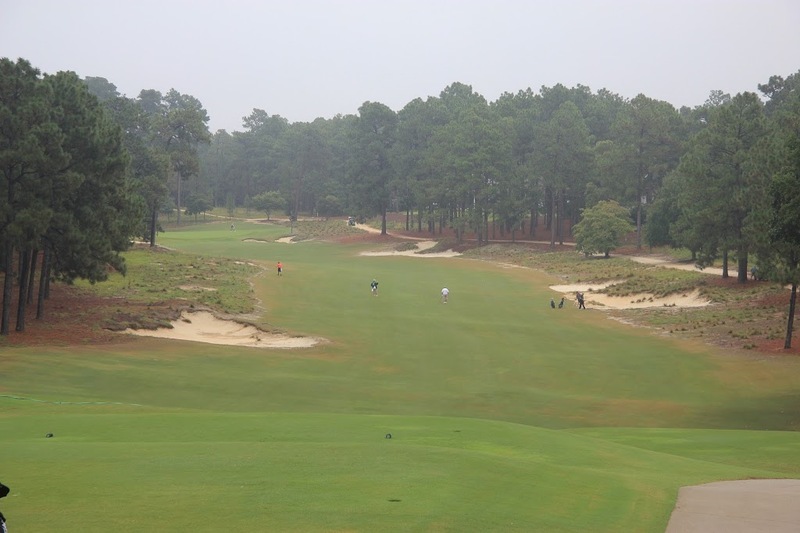 The 1st hole on the course exhibits the wide fairways that will be found throughout the day. 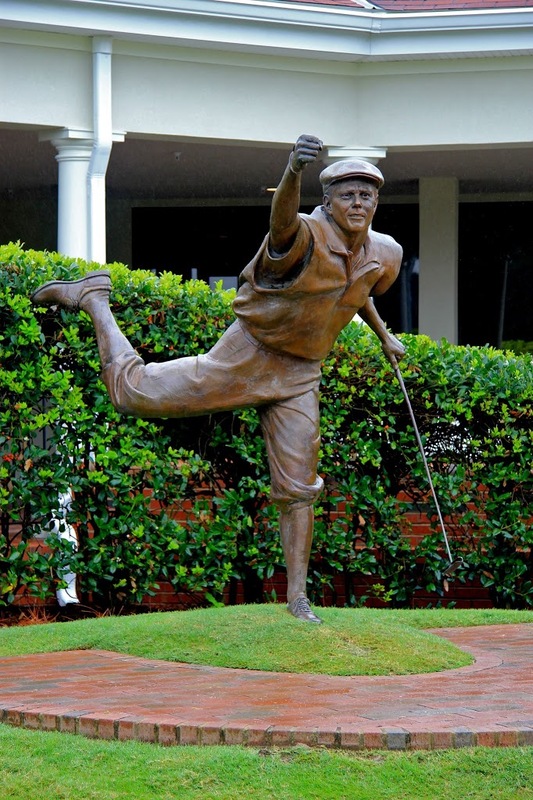 It also marks a golfer’s first encounter with Donald Ross’s diabolical greens. 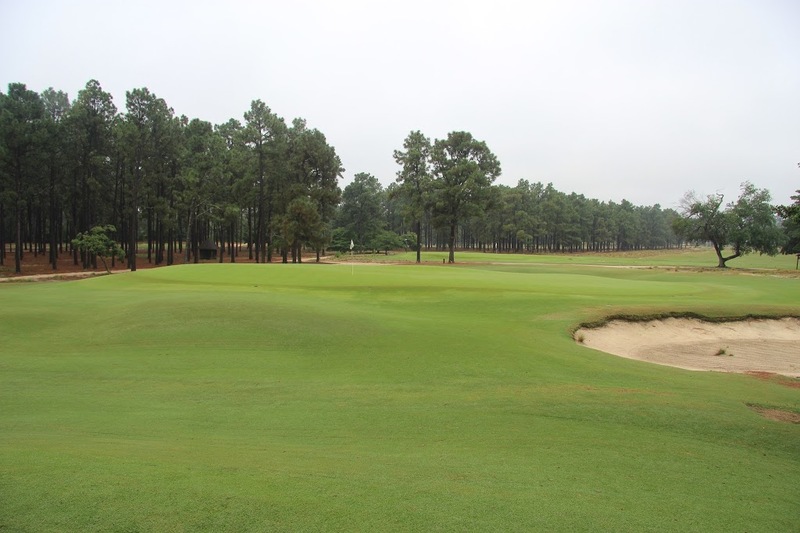 Pinehurst #2 is famous for the domed greens, and the first holes sets the tone. Hitting this green in regulation with a two putt makes for a great beginning to the round. A smart play on the short dogleg right third hole is a hybrid or fairway wood short of the point at which the fairway narrows. 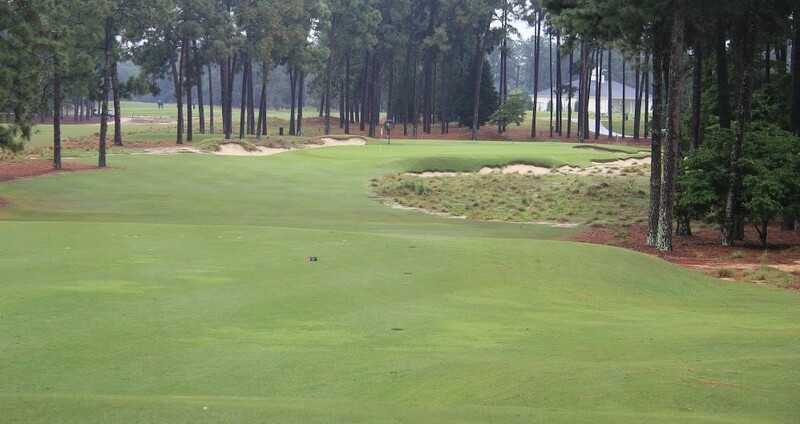 This hole should be a birdie hole during the 2014 US Open, which will be played on #2. 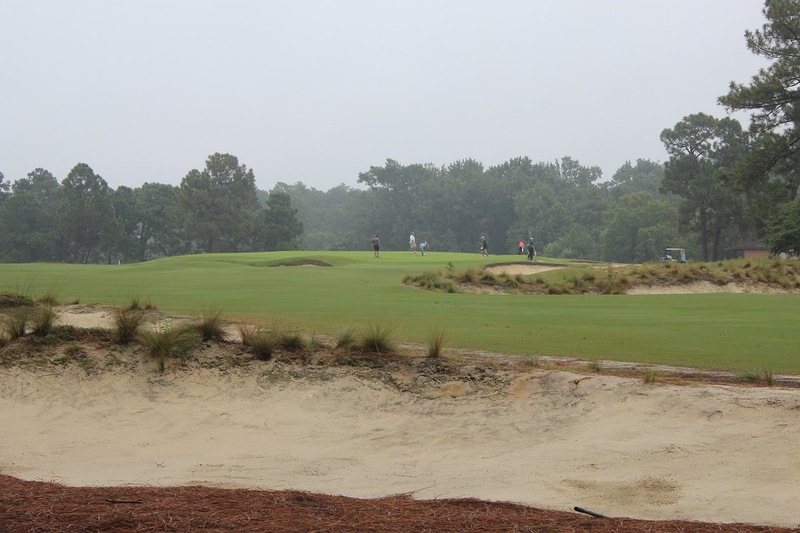 The Women’s US Open will be played the next week on the same course. 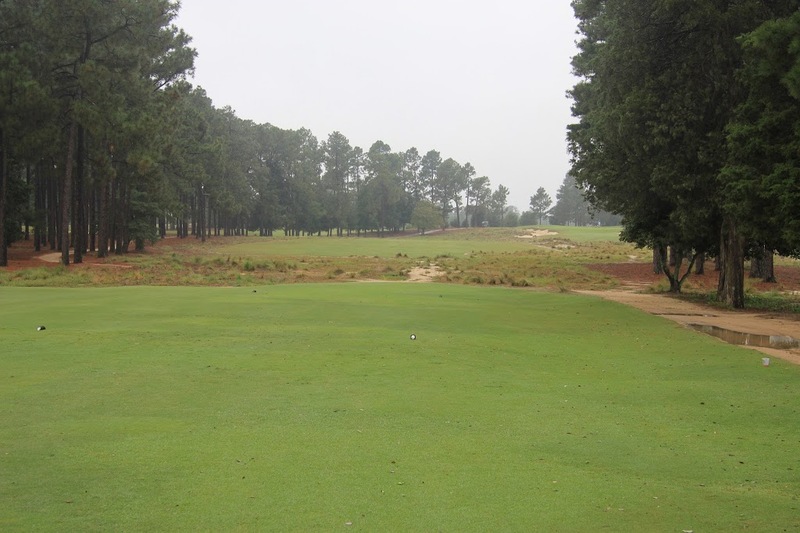 Hole #4 – 507 yards The par 5 4th has always been one of my favorites at Pinehurst. The hole has become easier since the fairway has become wider and is no longer guarded by thick rough. The green slopes from back to front, and being above the hole is dangerous in quick conditions. Hole #5 – 436 yards The blind uphill tee shot on the 5th is difficult, but the true challenge lies in the approach to the heavily sloping green. Photos cannot do the slopes justice. 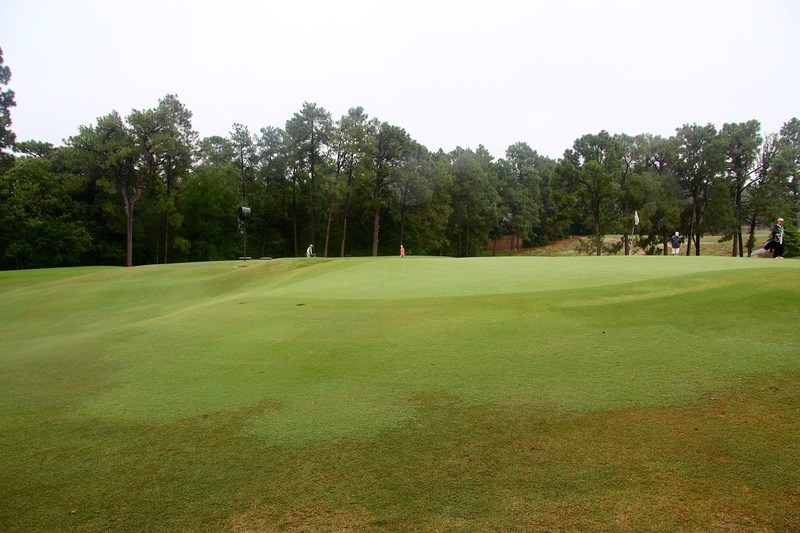 The approach is an uphill shot, and, depending on the green, it can be nearly impossible to hold a shot. Large collection areas surround the green. 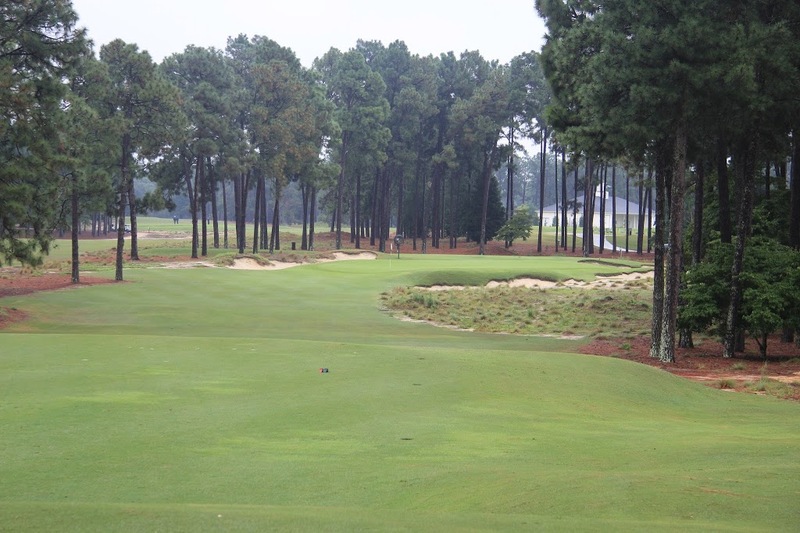 Hole #9 – 174 yards The difficult par 3 9th is visually intimidating off the tee, and would be even more so if golfers could see the extreme slope falling off the back of the green. The green is two tiered. A very difficult putt is left for those on the wrong level. If the greens are fast and firm during the 2014 US Open, this will be a very interesting hole to watch. 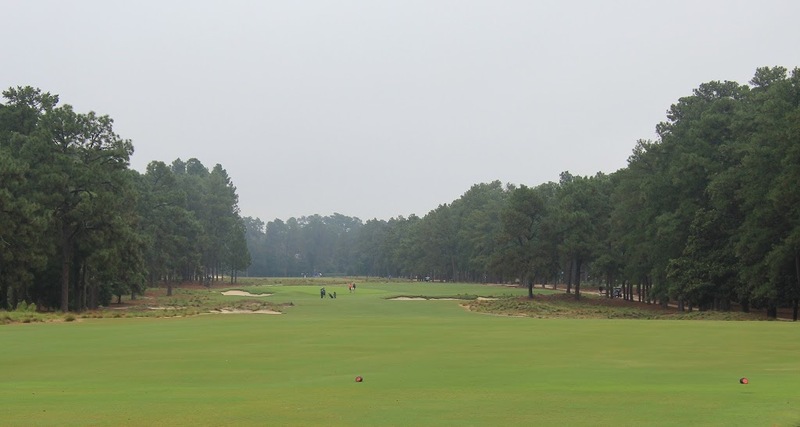 Hole #13 – 385 yards The 13th hole is unique on Pinehurst #2. 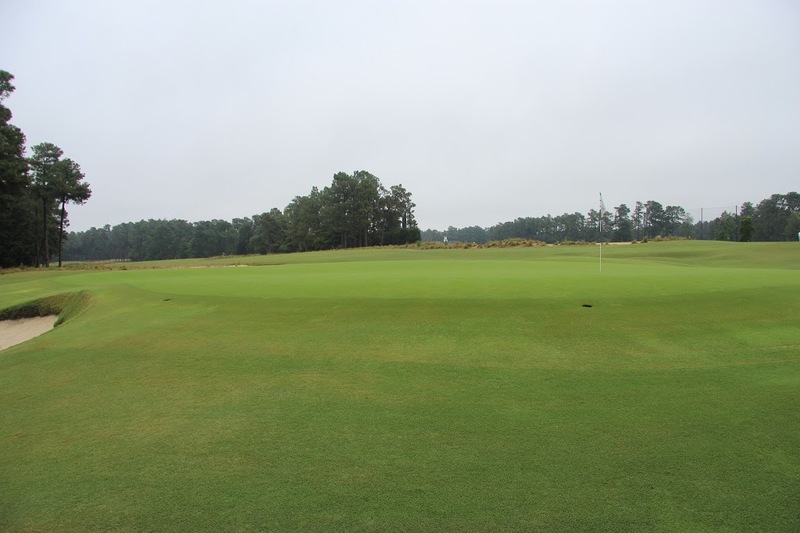 It is a slight dogleg right with an elevated and heavily bunkered green. Long hitters should not hit drivers, and missing the green carries a heavy penalty. Hole #14 – 479 yards Tee shots from the elevated 14th hole are fairly straightforward, but the green can be extremely difficult, depending on the pin position. One of the golfers in my group hit his approach shot slightly long and then found himself 5-6 feet below the green trying to flop his ball back up off a tight lie. Hole #16 – 511 yards The only water found on #2 doesn’t really come into play for golfers if they choose their set of tees wisely. The 16th is a dogleg left par 5 and has always been another one of my favorite holes on the course. The hole is reachable and should create some drama during the US Open. The green is heavily bunkered, and, as with any well designed risk-reward par 5, a heavy penalty is to be paid for missing the green. 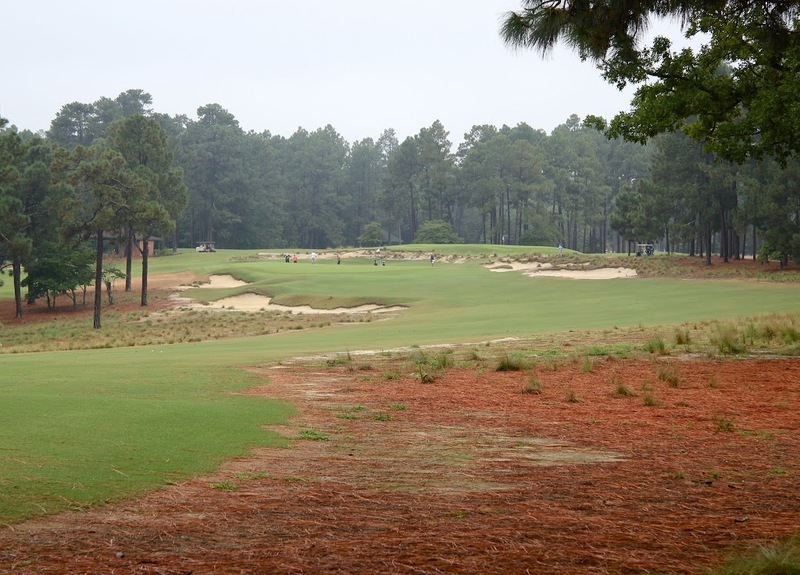 Hole #17 – 186 yards This hole has been the site of drama in previous US Opens played over Pinehurst #2, and it ranks as one of the stronger par 3s that I have played. The front pin seen in the photo above is one of the more inviting pins. I have to give a shout out to my Dad for a great birdie on this hole during our round. Hole #16 in next years US Open is going to be played as a par 4. At over 500 yards it is going to be a beast of a hole. #8 will also be played as a 4. I ended up in the exact spot there John Daly did when he hit the moving ball as it was coming back down the slope in the 99 Open. I beat his 11 that he posted, but it is a tough shot with a short sided pin. 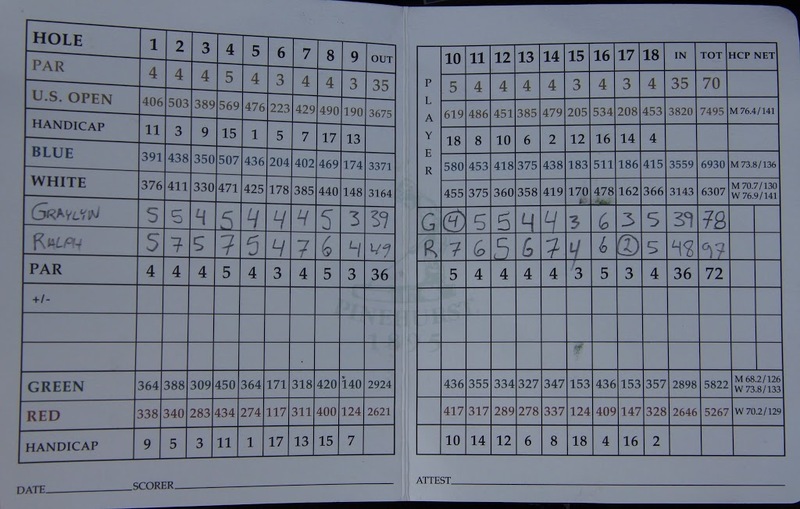 I had one chip come right back down to me but was able to salvage a bogey. I very much liked the Coore/Crenshaw restoration. Graylyn, this is Hampton from Christ School. 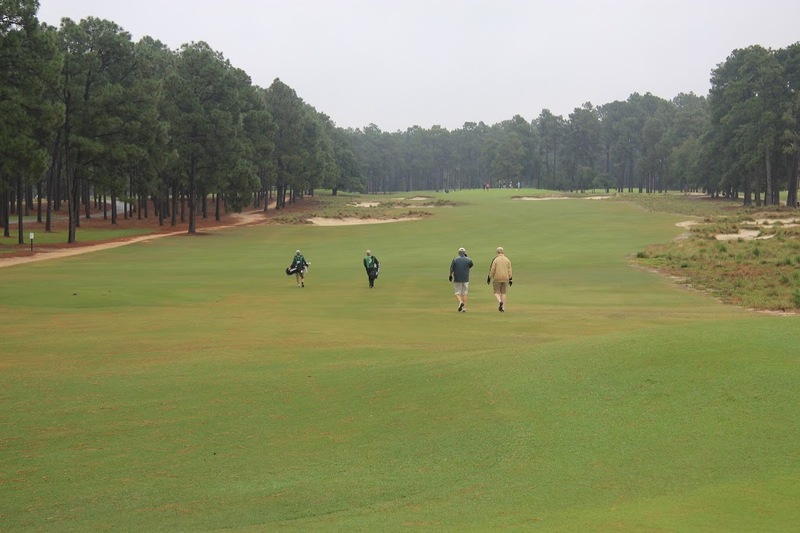 I have been reading your reviews on courses in Pinehurst, and noticed you have not played The Country Club Of North Carolina. 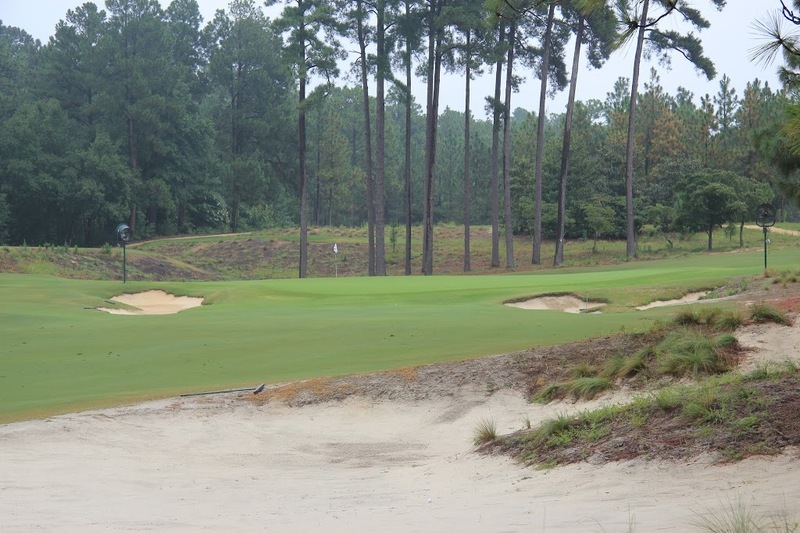 I now live in Pinehurst and work at The Country Club Of North Carolina, I would like for us to schedule you a trip so maybe you could write reviews about our two courses. Let me know your thoughts? Hey Hampton! How have things been going? 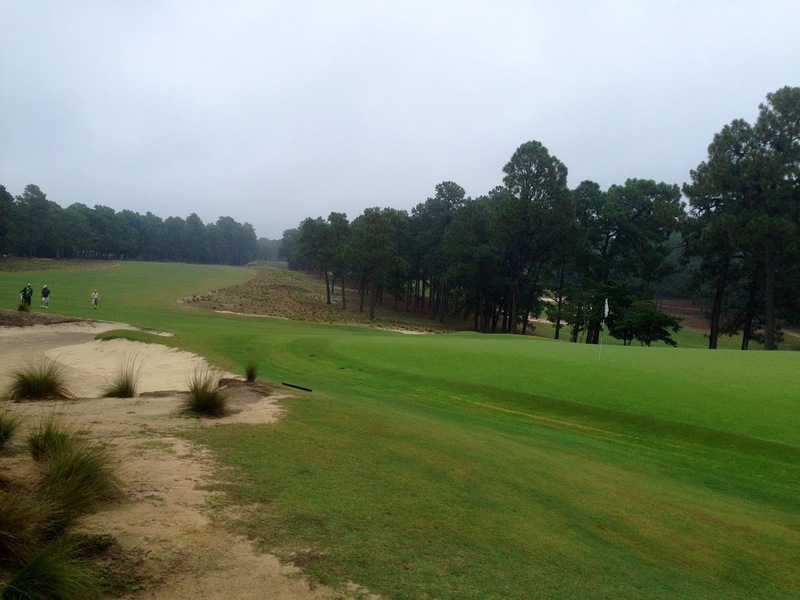 I would love to visit CC of NC – I have heard so many good things about both courses. I will shoot you an email early this coming week and we will get something lined up for this summer. Thanks for reaching out and for the offer to host. Looking forward to catching up!